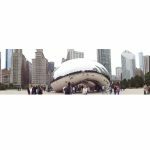 Millennium Park is located at 201 East Randolph Street, between Michigan Ave. & Columbus Ave., Chicago, Illinois 60601-6530; Welcome Center: 312.742.2963. 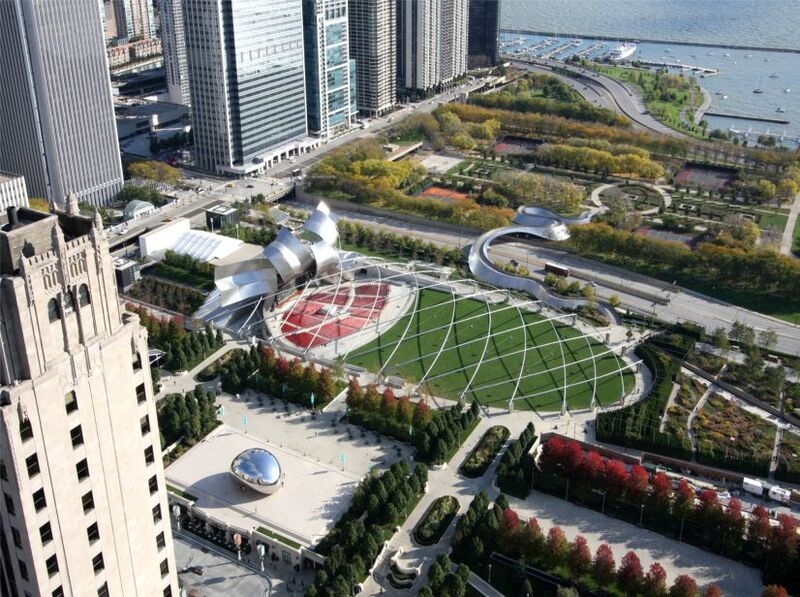 Visit the Millennium Park website, specifically the Art & Architecture page – many have their own websites. 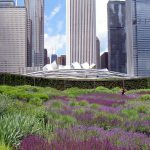 Watch the 2:25 video Millennium Park – Project of the Week 8/17/14 from Greenroofs.com on the greenroofsTV channel on YouTube. 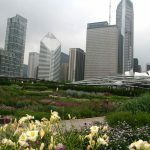 Greenroofs.com Project of the Week 8/14/17 video photo credits: Courtesy of ©Caroline Menetre 2011; American Hydrotech; View of the Chicago skyline from 340 on the Park by Dmytro Sergiyenko licensed under CC BY-SA 1.0 via Wikimedia Commons; Lurie Garden in sun by Ruhrfisch licensed under CC BY 3.0 via Commons; Lurie Garden view with Michigan and Randolf streetwalls by Señor Codo licensed under CC BY 2.0 via Commons; Jay Pritzker Pavilion on 2012-10-20 licensed under CC BY 3.0 via Commons; Pritzker Pavilion looking north at night, Source: Logan Reed; Author: Farsidekid00 licensed under Public Domain via Commons; and Chicago_-_Crown_Fountain_-_Millennium_Park_(2713868085).jpg by Serge Melki from Indianapolis, USA licensed under CC BY 2.0 via Commons. 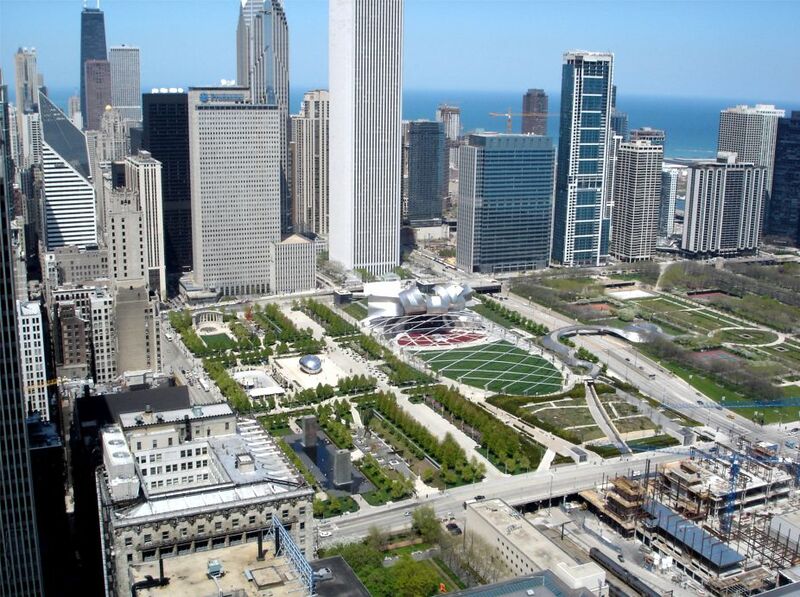 See the project profiles from the Landscape Architecture Foundation where you can see more of the project team along with numerous details and features; the Bruner Foundation; SOM; Jeffery Bruce and Associates, Wikipedia, American Hydrotech, and Henry (via edc). 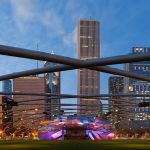 Read the April 28, 2014 Millennium Park Celebrates 10 Years as Chicago’s Showplace for Cutting-edge Art, Architecture, Landscape Design, Music & More City of Chicago Press Release. 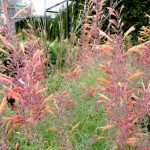 Learn about the following companies in The Greenroof & Greenwall Directory: Barrett Company; American Hydrotech, and Tremco. 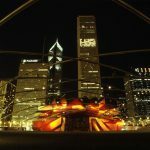 Millennium Park is a multi-award winning 24.5-acre public park with venues for performance, art, sculpture, architecture and landscape architecture, located between Chicago’s lakefront and the central business district (the loop). 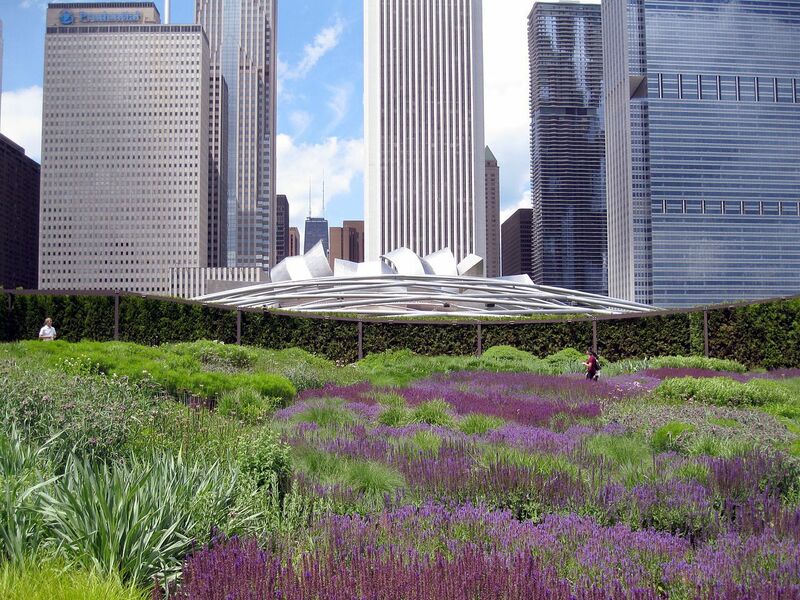 “Created to reinvigorate a 25-acre tract of land in Chicago’s Grant Park, Millennium Park incorporates groundbreaking advances in sustainable design, including the world’s largest green roof,” (SOM, see below). 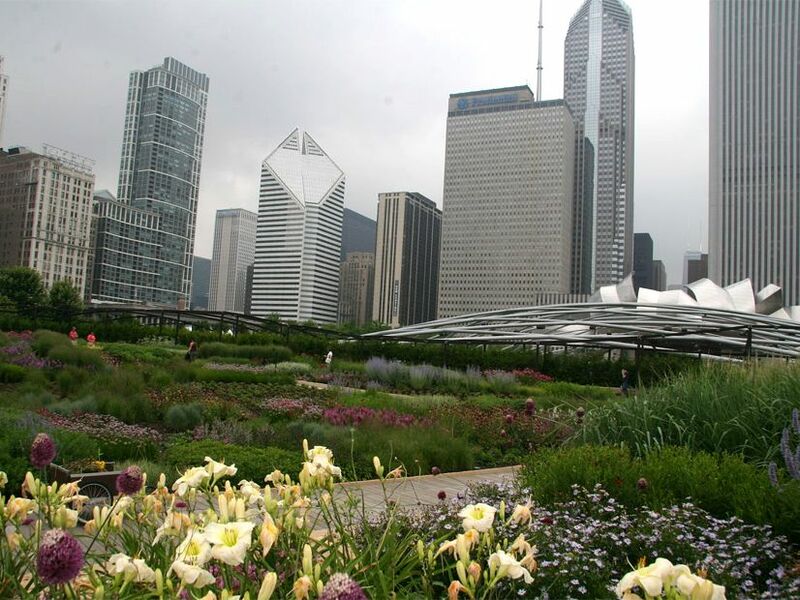 When Millennium Park opened on July 16, 2004, it transformed an industrial wasteland into Chicago’s showplace for cutting-edge art, architecture, landscape design, music and more. 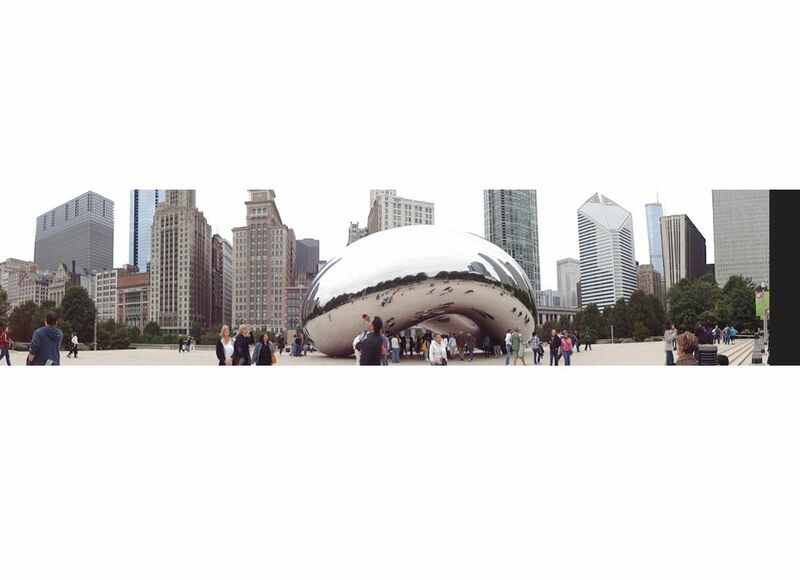 Today, it is Chicago’s second-largest tourist attraction – and the City marked its 10th anniversary throughout the summer of 2014. 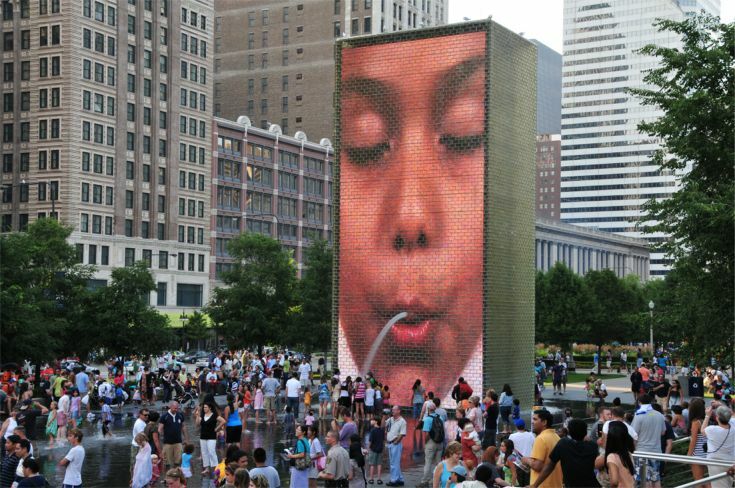 The Millennium Park 10th Anniversary Summer Celebration featured dozens of free events and exhibitions including new monumental sculptures by Spanish artist Jaume Plensa, designer of Crown Fountain. 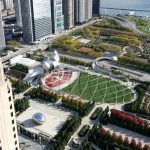 “Millennium Park is one of Chicago’s most extraordinary venues, and its popularity continues to climb among visitors and residents alike,” said Mayor Rahm Emanuel, City of Chicago. 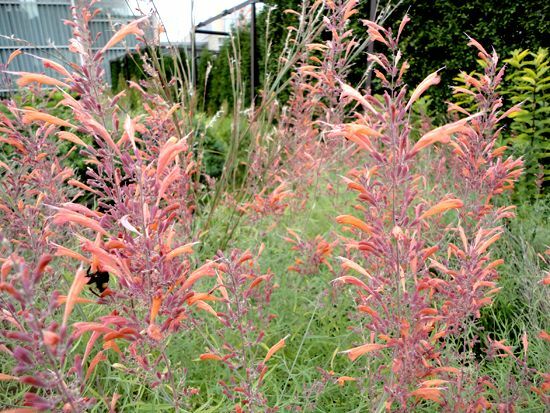 “Last summer, the Park welcomed 4.75 million people, an increase of more than 5 percent. 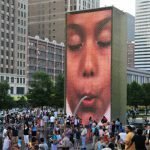 This summer, the Park provides an amazing backdrop for hundreds of FREE cultural programs,” (City of Chicago Press Release, 2014). 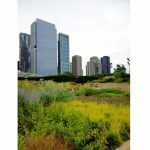 At 24.5 acres, Millennium Park is considered either the largest or one of the largest intensive greenroof projects in the world. 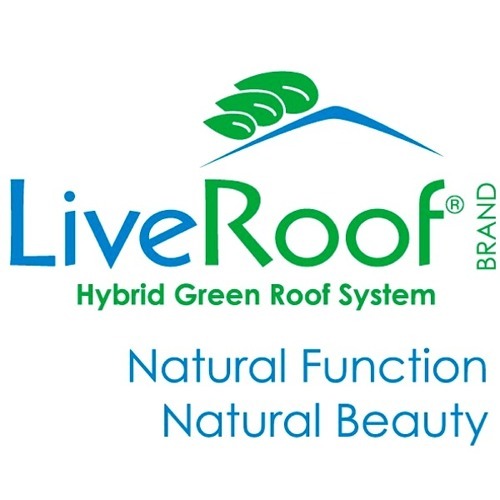 As it sits at grade over the parking garage, it is considered an over-structure greenroof. 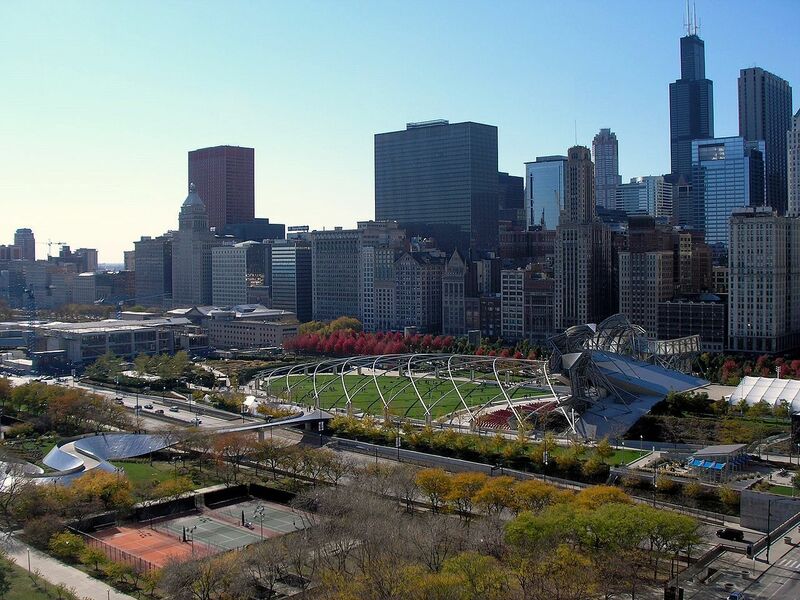 The former dilapidated ground-level parking lot and rail yard in the northwest corner of Grant Park was transformed and now covers two multi-level parking lots with a total of 4,000 cars, a commuter rail line, and an opera hall. The $490 million cost was derived from a mix of public and private sources. Due to the size, scope, and multi-phase approach, several companies provided waterproofing, including: Barrett Company, American Hydrotech, Tremco, and Henry. 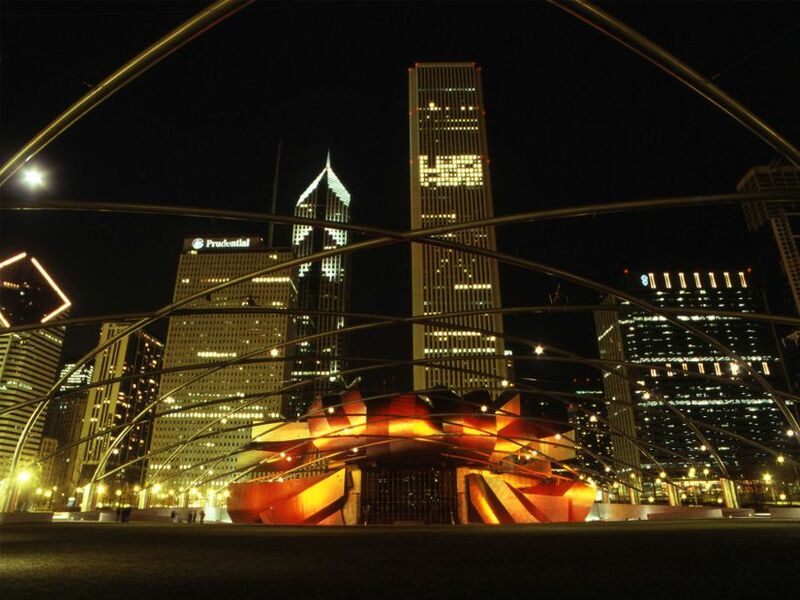 Renowned for its numerous art and architecture, the centerpiece of Millennium Park is the Jay Pritzker Pavilion, a bandshell designed by Frank Gehry. 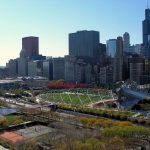 It boasts 4,000 fixed seats plus additional lawn seating for 7,000 and is the site of the annual Grant Park Music Festival. The other 11 venues include the immensely popular AT&T Plaza and Cloud Gate by Anish Kapoor reflecting the skyline and street wall along Chicago’s famed Michigan Avenue; the Crown Fountain with animated faces of Chicagoans by Jaume Plensa; the beautiful 5-acre Lurie Garden by Gustafson Guthrie Nichol Ltd, Piet Oudolf and Robert Israel with more than 138 varieties of perennial plants; McCormick Tribune Plaza & Ice Rink and Park Grill; BP Pedestrian Bridge; Harris Theater; Wrigley Square and Millennium Monument (Peristyle); McDonald’s Cycle Center; Exelon Pavilions; Boeing Galleries; Chase Promenade; and the Nichols Bridgeway. 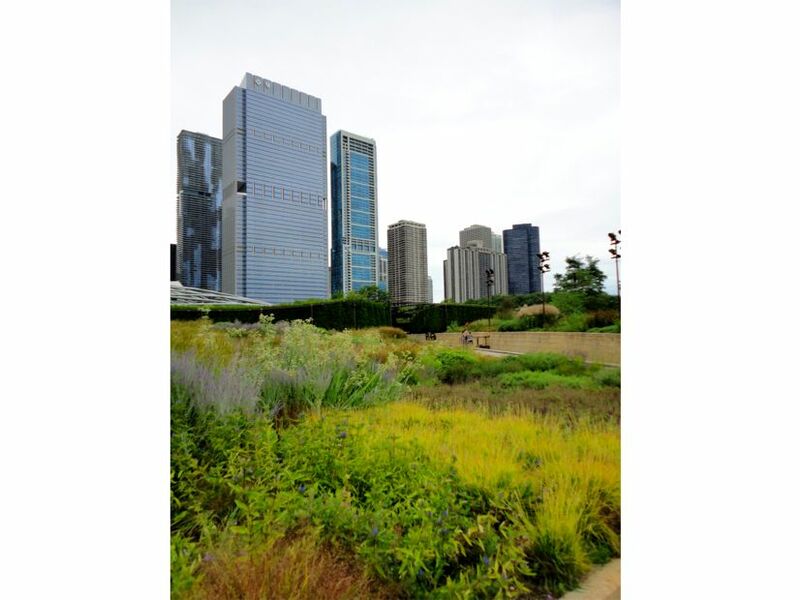 Among many others, Millennium Park received the 2006 Excellence in Irrigation Honor Award from the American Society of Irrigation Consultants and the 2005 Green Roofs for Healthy Cities Awards of Excellence in the Intensive Industrial/Commercial category. 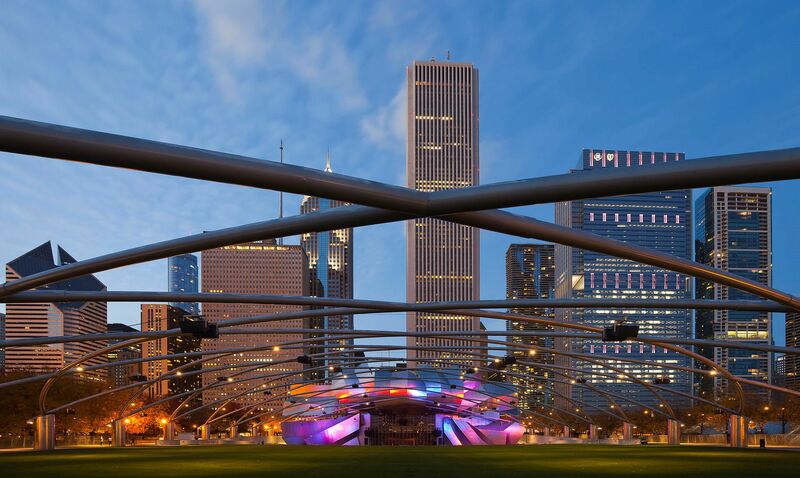 Visit the Millennium Park website listed below for the entire list of the numerous individuals involved with its complex design and construction.